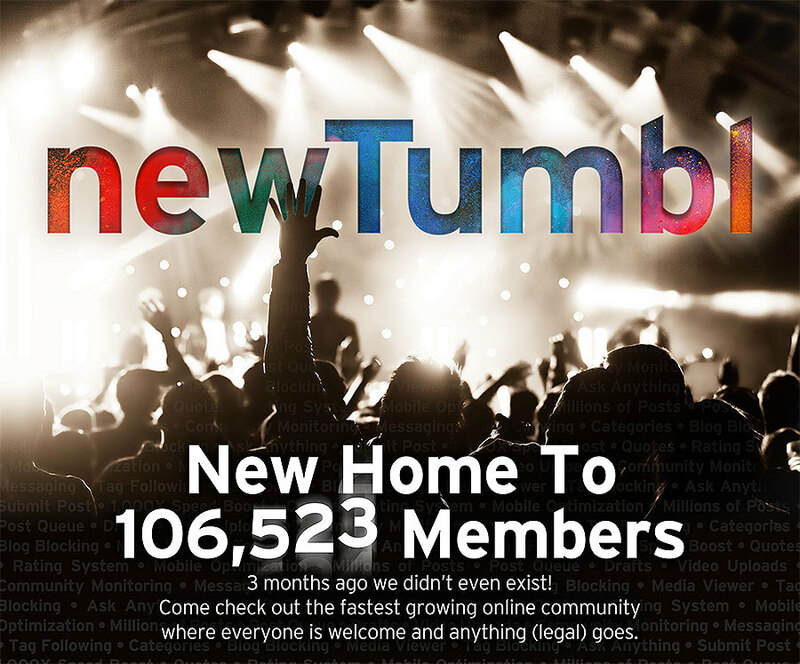 newTumbl was created specifically for refugees of other social media sites. We offer asylum to all those who feel persecuted simply for wanting to exercise your freedom of speech. NSFW welcome! If you are losing your blog, please come check us out. We'd welcome refugee bloggers with open arms!